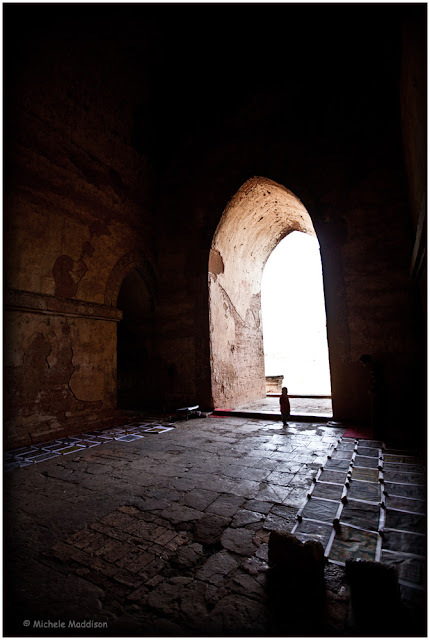 A Year Through The Lens: Day 272 – Corridors of life. The morning light shines in the temple door. A new day begins for father and son selling their paintings within the walls of the 12th century temple. Buddha looks over them. Old murals scale the inside walls, slowly chipping off with the passing of time. While pigeons, bats nest in the roof tops. Time keeps marching on. Tomorrow brings a new day, new year, and new people to sell too.